There is SO much to do at Funderdome Indoor Playground in Fort Lauderdale. The toughest decision will be where to begin! At Funderdome, you'll find 9,000 square feet of interactive ropes courses, obstacles, slides, climbing walls, laser maze, arcade and more! Funderdome is open 7 days a week, with walk-in UNLIMITED open play and no time restrictions! PLUS, parents are always FREE (with paid child’s admission), infants ages 0-5 months are always FREE (with paid sibling admission), and with a designated toddler area, you'll never worry about your little one getting bumped around by bigger kids. Adults are welcome to play along, or relax in the Café while the kids get their energy out! 30-Foot High Vertical Tower of Play & Obstacle Course - An amazing multi-story playground of over 20 different obstacles and experiences that include super slides, steps and mazes. There are many ways to get to the top but you can only get to the Sports Court in the Sky by conquering the Vertical Tower. Ages 3 and under must be accompanied by an adult. Sports Court in the Sky - It's a challenge to get here, you've got to find your way up and through the Vertical Tower, but once you're here shoot hoops, enjoy a game of soccer or create a game of your own! 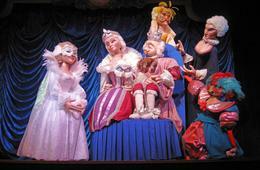 Children ages 3 and under must be accompanied by an adult. Green Monster Spiral Slide - Once you master the Vertical Tower, experience a lightning-fast exit as you twist and turn down this incredible slide! For Ages 4+. Younger participants must be accompanied by an adult. Sky Trail Ropes Course - Balance on cables, ropes, boards and other pathways 22-feet above ground as you navigate through 7-different complex adventures that test your balance, coordination and confidence. You remain safely tethered for extreme fun! Children under 48 inches require an adult chaperone. Ball Blaster Arena - Launch colorful Styrofoam balls through an air-propelled cannon at small targets and opponents. Play 1-on-1 or in teams and have a ball-blasting great time! 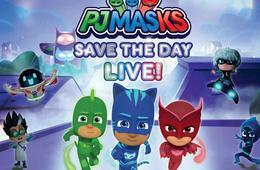 Recommended ages 4+. Funder City Climbing Wall - Test your strength and determination by attempting to push and pull yourself up the walls of Funder-City, a colorful futuristic city scape. Race others or challenge yourself with a timed climb. For Ages 3+ and must be at least 48 inches tall. Space Quadrant Laser Maze - Duck, jump and roll to avoid getting zapped as you complete your assignment as fast as you can. Select from easy, medium, difficult or expert levels. Interactive Activity Floor - Jump, twist, hop and dance your way through colorful, ever-changing scenes.The activity-floor is driven by a highly advanced platform that projects the challenges along with high-energy music that's fun solo or in a group! Arcade - Play games and redeem tickets for prizes. What kid isn't down with that? The Toddler Zone - Full of padded, multi-color cushion shapes, vehicles and wall puzzles, this is a separate, safe area for children 3 and under to play with their parents or guardians. With so much to see and do, one trip to Funderdome won't be enough! With this deal you can also grab a VIP Monthly Pass to enjoy all that Funderdome has to offer and get a second month FREE! $7.95 for TWO Funderdome Daily Admission Passes - Valid for Ages 6 mos - 2 yrs ($15.90 Value - 50% Off). 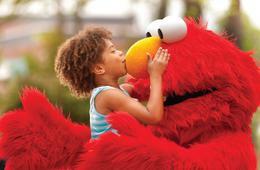 $13.95 for TWO Funderdome Daily Admission Passes - Valid for Ages 3-4 ($27.90 Value - 50% Off). 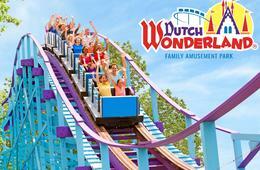 $15.95 for TWO Funderdome Daily Admission Passes - Valid for Ages 5+ ($31.90 Value - 50% Off). 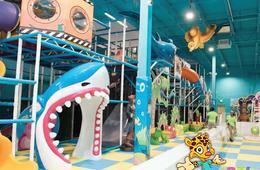 $30.96 for a 2-Month Funderdome VIP Pass - Valid for One Child Ages 6 mos. - 2 yrs. ($61.92 Value - 50% Off). 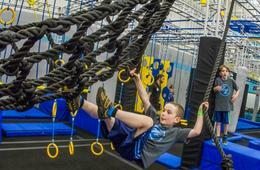 $49.99 for a 2-Month Funderdome VIP Pass - Valid for One Child Ages 3-4 ($99.98 Value - 50% Off). 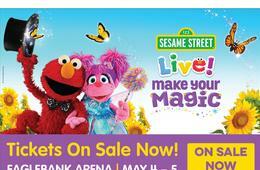 $57.99 for a 2-Month Funderdome VIP Pass - Valid for One Child Ages 5+ ($115.98 Value - 50% Off). 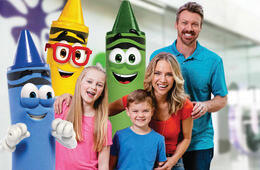 $199.99 for a 2-Month Funderdome VIP Family Pass - Valid for up to 5 Children in the same family ($399.98 Value - 50% Off). With your VIP Monthly Pass, you get UNLIMITED free access to Funderdome, free and discounted access to holiday events throughout the year, 10% discount on all birthday parties and groups for family members and 10% discount in the café. Funderdome is best for children ages 6 mos.-13. Two adults per one child's paid admission are FREE (unless Sky Trail or Rock Wall participation is desired). $3 adult pass if Sky Trail and Rock Wall participation is desired, payable directly to the vendor. Children under 6 mos. are always FREE. Regular operating hours are Sunday - Thursday, 10 a.m. - 7 p.m. and Friday-Saturday, 10 a.m. - 9 p.m. Funderdome is open ALL DAY on No School Days. Please Note: The Rock Wall and Sky Trail are closed Monday -Thursday. 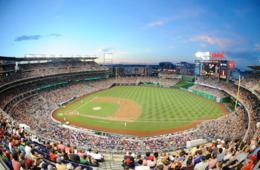 Both activities open at 4 p.m. on Friday. All participants must wear socks and have a signed waiver. Click HERE to access the on-line waiver. No children over age 3 are permitted in the Toddler Zone. All children must be accompanied by an adult. The Green Monster Spiral Slide is for ages 4+. Younger participants must be accompanied by an adult. Riders are reminded to keep their elbows up! Children under 48 inches require a Parent or adult chaperone to complete the Sky Trail Ropes Course. Girls are required to wear shorts under dress/skirt. Maximum weight is 300 lbs. Ball Blaster Arena is recommended for ages 4+ and participants must be 48 inches tall for independent play. 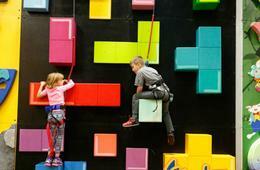 Funder City Climbing Wall is for participants ages 3+ and at least 48 inches tall. Maximum Weight is 275 lbs. Expiration reflects date by which Daily Admission Pass or Monthly Pass must be activated. Questions? Need More Information? Please contact Funderdome at 954-525-1816. Valid only at Funderdome Indoor Playground & Cafe in Fort Lauderdale, FL. Multiple vouchers may be purchased and redeemed. Cannot be combined with any other special offers, promotions or discounts. Not valid on prior purchases. Vendor is responsible for the quality of the products or services provided at redemption. Operating hours are subject to change; check directly with vendor prior to visit. Merchant cancellation policy applies.